Hemp-derived CBD is gaining ground as a response to stringent restrictions against CBD in various states. If it’s a part of your business, your search for hemp CBD packaging can end here! Maybe you just want a no-frills box for tinctures. Or maybe you’re selling upscale CBD products and lusting after plush velvet textures and embossed logos. 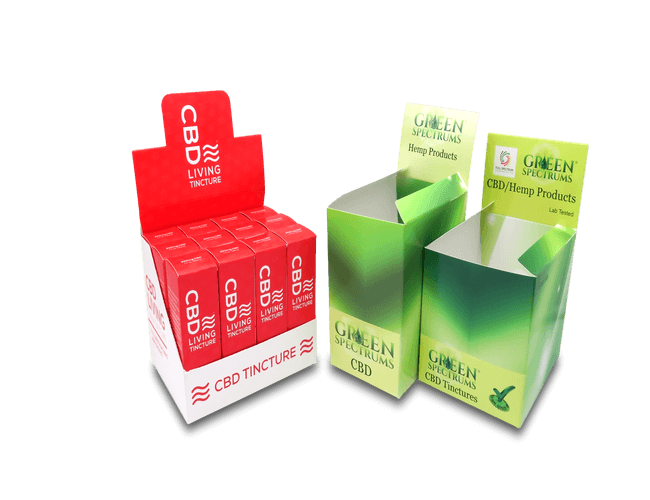 Whatever you bring to the table, you’ll find it easy with our wide range of box styles and features to create CBD packaging that’s truly your own. Clueless?No worries! Our experienced team is standing by ready to answer your packaging questions. Itching to get started or want to learn more? Simply click “Custom Quote” at the top of this page or contact us at sales@businessimageprint.com!